Micro Markets Vs. Traditional Vending Machines: A Blog We Love! “Micro markets vs traditional vending machines,” by Kisha Wilson, is a blog post that we love! Not only does Wilson put in great statistics, but she gives great insight to micro markets as a whole. Take a look here! Micro markets tend to attract 18 percent more visits per day with an average of 1.2 sales per day per visit, as compared with 0.7 sales in a vending area. This figure may be higher depending on the location. The inventory management system is usually web-based, making inventory evaluation much easier, ensuring fresh inventory and up-to-date regulatory practices. Components can be customized to fit different locations which is a major selling point,especially when there are space limitations. It allows operators to focus on providing an enhanced customer experience with enticing layouts and products that will ultimately increase profits. Operators can use retail tools and techniques to ensure the strategic placement of add-on purchase items near to the check-out kiosks. Less maintenance and downtime of machines and the kiosks provide an easier transaction process especially for multiple items. There is also some pricing flexibility allowing operators to collect sales tax on items purchased unlike a traditional vending machine. The use of prepaid user accounts at micro markets represents a shift from the traditional vending model. Accounts are funded and money collected before goods are purchased which radically shifts the cash flow requirements of operators. Portions of these accounts can be funded by HR, Wellness, or other workplace programs with a mandate directed at healthy eating and increased productivity. Products that are attractive to the customer – As a society we are more health conscious than ever and providing healthy, fresh food options, restocked daily is one way that micro markets set themselves apart from the traditional vending machine. The right layout – Most micro market providers can work with any space to provide a customized, attractive and functional setting that will make movement and payment within the location as easy as possible. Access to a power supply for the kiosk system, coolers and freezers are also required, along with an internet connection. Way to go Kisha! We love your perspective! Posted on August 30, 2016 Categories Motivation2 Comments on Micro Markets Vs. Traditional Vending Machines: A Blog We Love! Let’s Give Juliana a First Class Welcome! Posted on August 18, 2016 August 18, 2016 Categories Features and UpdatesTags #32M, #Welcome, 32Market, 32Market.com1 Comment on Let’s Give Juliana a First Class Welcome! Thanks for Keeping Us Young, Interns! This Summer TurnKey and 32Market Welcomed 9 Interns Aboard! We would like to take this opportunity to recognize and thank our summer interns for all of their hard work. For the past three months our interns have pushed us to be better every day. They worked in various areas of both Turnkey and 32Market including Wood-shop, Marketing, Media Production, and Administration. Our companies truly appreciate everything the interns have done. We have enjoyed challenging them while also helping them gain experience. Oh, and we had a little fun along the way! Our companies love working with interns because they are so eager to learn! We want to thank them for their fresh ideas and positive attitudes. It truly has been our pleasure to work with these driven young interns. We wish them the best of luck this school year, and we hope our paths will cross again in the future! The Interns were presented with a card & a cake to celebrate their hard work! Alex Westby and Kaitlyn Timmins spent some of their summer working on 32Market decals. Posted on August 16, 2016 August 16, 2016 Categories Features and Updates, UncategorizedTags #32M, #SummerInterns, 32Market, 32Market.comLeave a comment on Thanks for Keeping Us Young, Interns! Have You Met the 2016 U.S. Olympic Team? Posted on August 15, 2016 August 15, 2016 Categories UncategorizedTags #2016Olympics, #32M, #GoForGold, #Rio, 32Market, 32Market.comLeave a comment on Have You Met the 2016 U.S. Olympic Team? We have other fantastic products, too! Find exactly what you’re looking for on our webstore. Don’t Miss These Software Release Notes! Automatic ordering has become even smarter! The system will now take a snapshot of past sales data to estimate which items will sell between your order and delivery date, to keep you closer to a truly full market. You will now be able to select multiple stores for your cash box reconciliation rather than running the report for each store. We have fixed a bug that caused the end date to not save properly in the Rewards page. Theft data has been added to the profit and loss report. Theft and Spoilage options have also been added to the warehouse inventory, previously available under store inventory. You now have additional options for invoice fields on your summery report. Posted on August 11, 2016 Categories Features and UpdatesTags #32M, 32Market, 32Market.comLeave a comment on Don’t Miss These Software Release Notes! Our exceptional customer service is one way we are able to prove our willingness to help our customers. Our customer service team is always eager to help in any way that they can. If we are not able to solve a problem over the phone we will send someone to the site to help as soon as someone is available. At 32Market we put our customers first. Our fingerprint technology is another way 32Market is able to surpass the competition. At 32Market we are always looking for innovative ways to grow. Our kiosks are equipped with Biometric Fingerprint Technology which allows customers to pay for their items simply by using their fingerprint. This form of payment makes it easy for people to purchase items from their micro market. 32Market received a patent for our smartphone application on October 27, 2015. Our smartphone application offers another unique and convenient way to pay. The app does everything a kiosk does except take cash. The app even gets you checked out faster than a kiosk! The app also includes administrative functions such as inventory management, reporting, and more! Our smartphone application gives us an irreplaceable competitive edge in the micro market industry. 32Market is a special company for many reasons. It is our priority to make sure our customers are completely satisfied with our products. We hold ourselves to the highest standards, and we are always looking for ways to improve. We also offer many unique services and products.These are just a few ways 32Market is able to set itself ahead of competitors. To experience all that 32Market has to offer, visit our website or our online store for more information or contact us today! 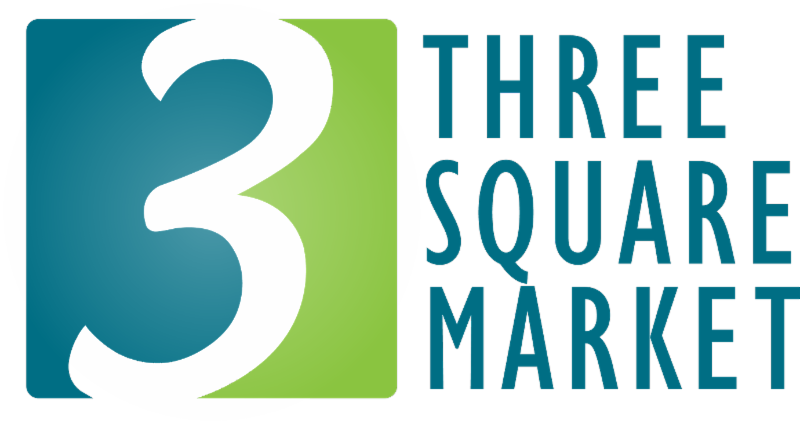 Posted on August 4, 2016 January 13, 2017 Categories UncategorizedTags #32M, 32Market, 32Market.com, Three Square MarketLeave a comment on What Sets Us Ahead of the Competition?